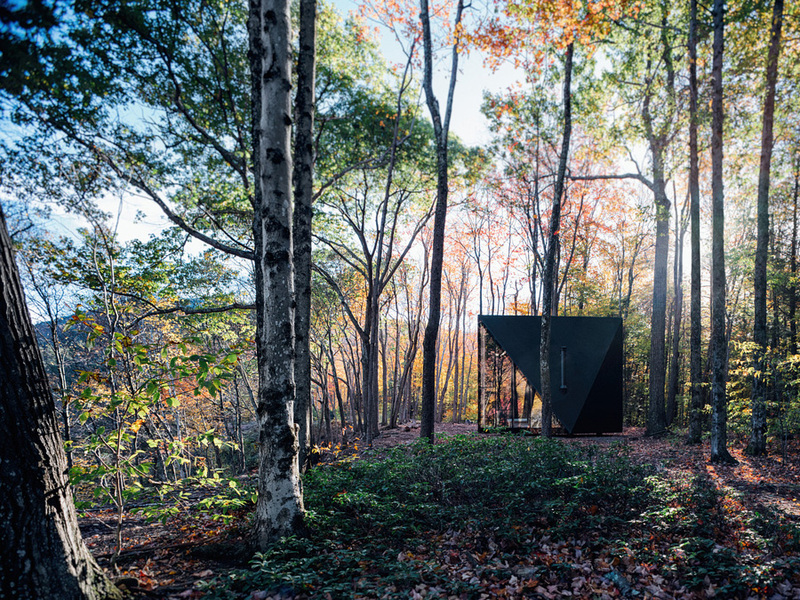 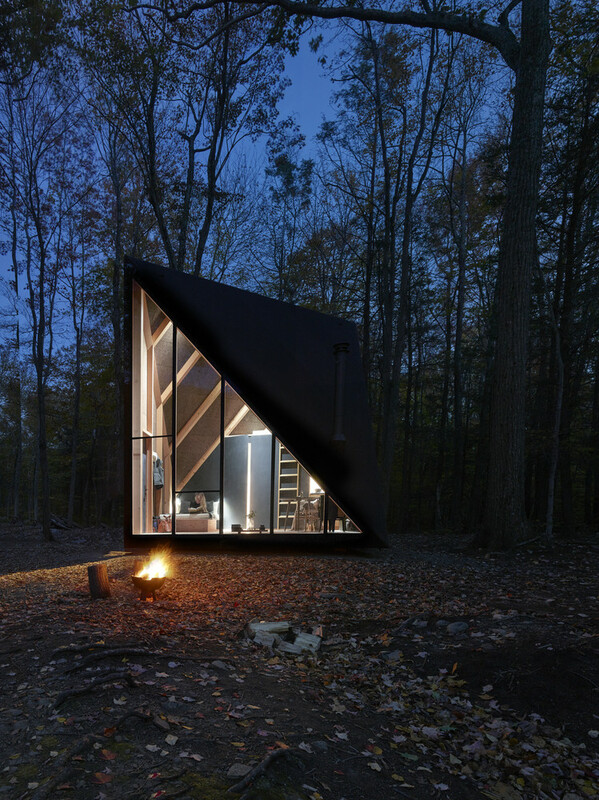 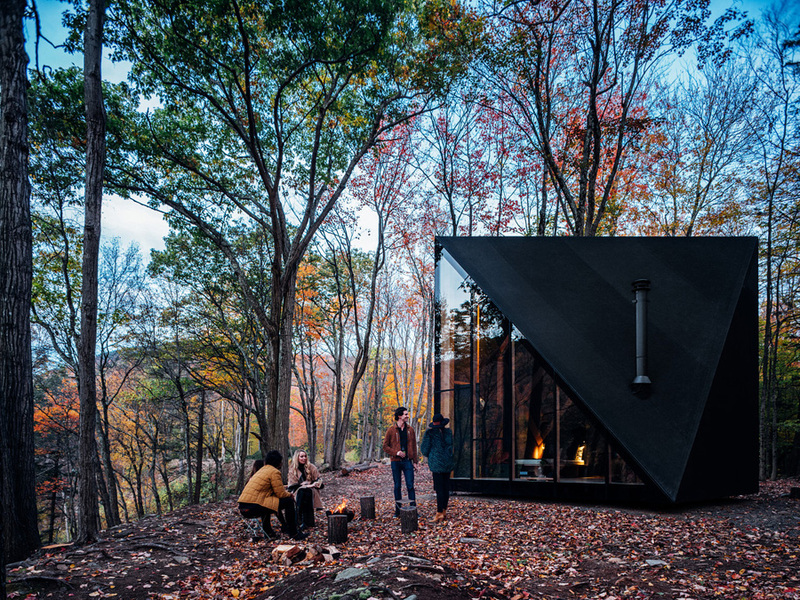 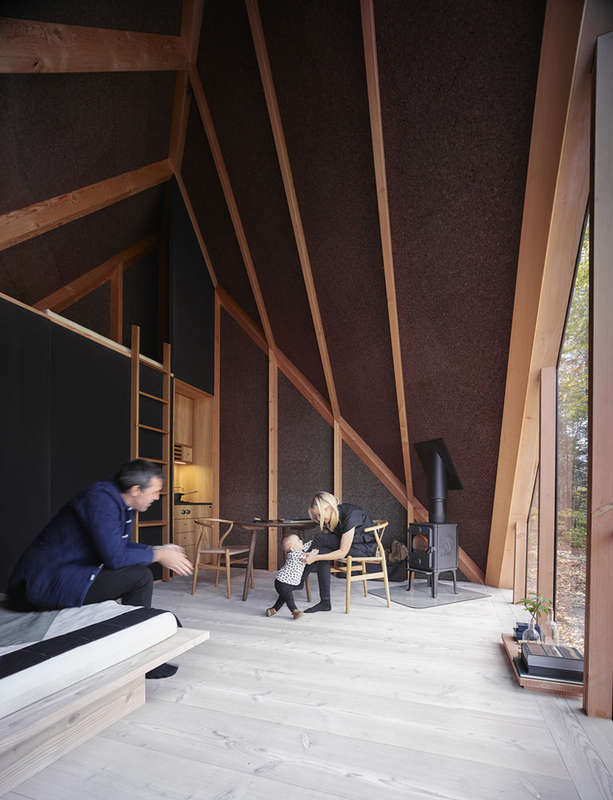 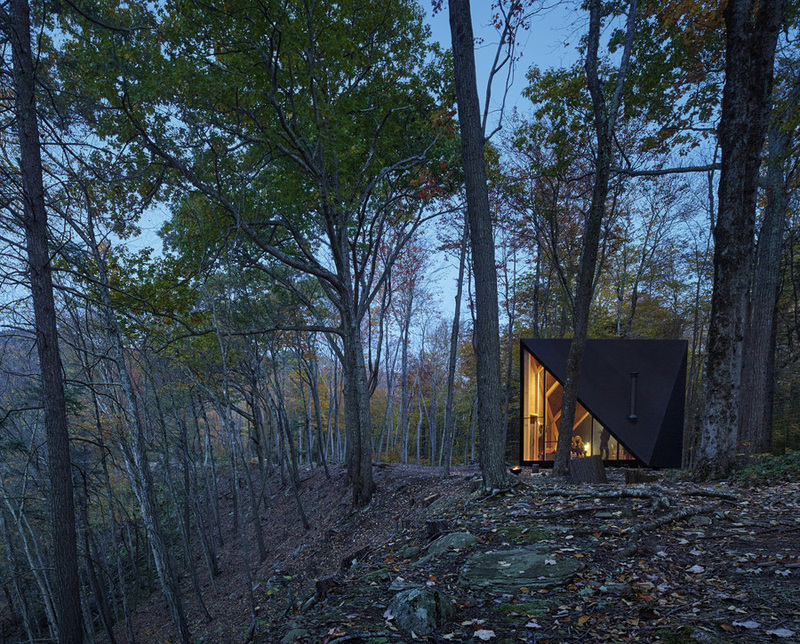 The A45 cabin is an A-Frame inspired tiny home built with customization in mind. 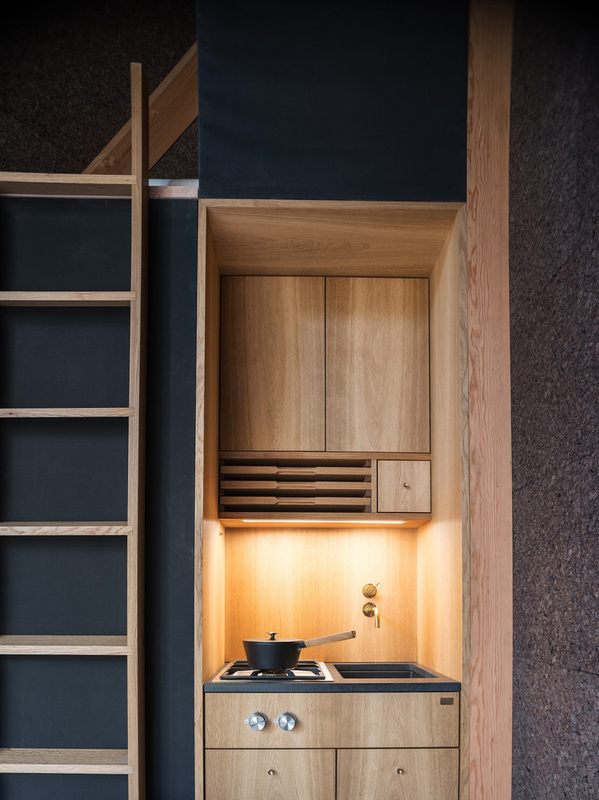 Conceptualized as a fully tailored space that can be purchased, erected, and placed within four to six months, the home boasts a minimalistic design that allows for a variety of different applications and uses. 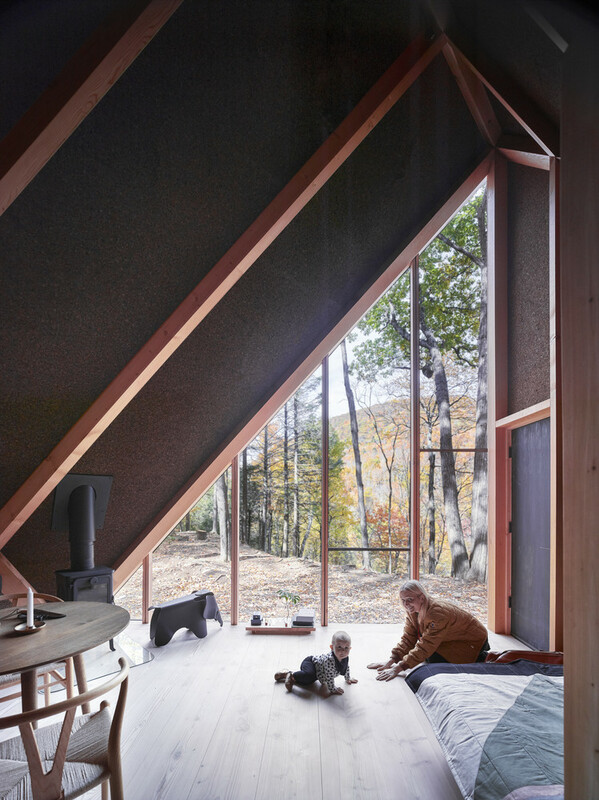 In an odd “twist” of events, BIG decided to expand the space by conforming the roof to a 45-degree angle, which allows for an almost 13-foot high ceiling – perfect for making the home feel much larger than it really is. 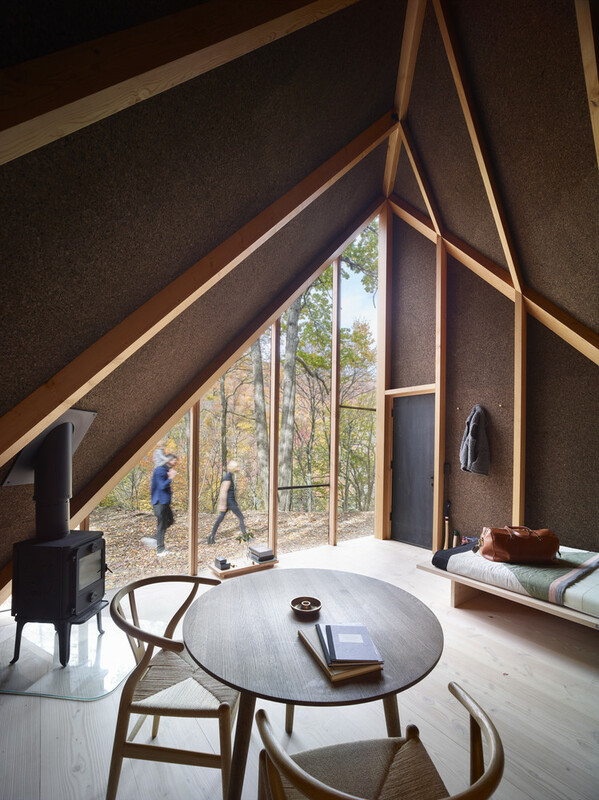 At only 180 square feet, the dark pine timber structure utilizes a Douglas Fir floor with space-grade customizable insulating cork for the walls. 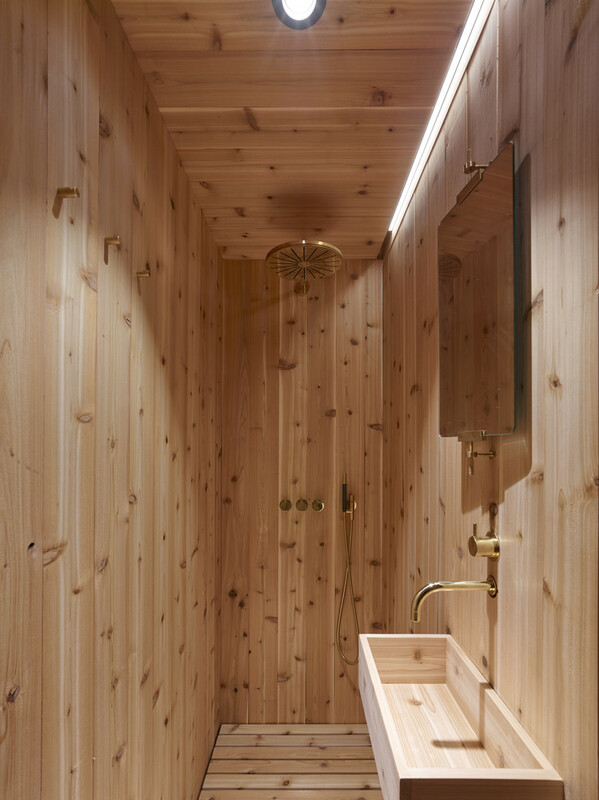 A Morsoe wood burning fireplace sits quietly in the corner of the home while a small kitchen area, a variety of handcrafted furniture pieces, and a cedar adorned bathroom help to round out the cozy abode. 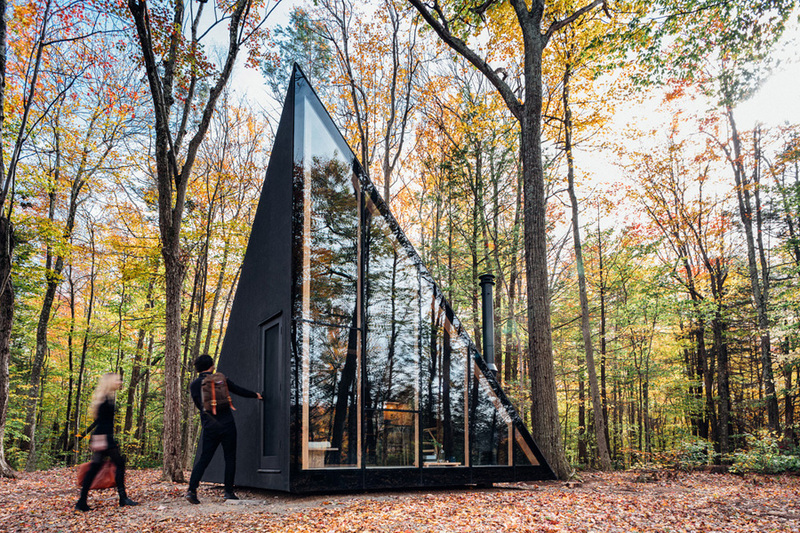 Also you might be interested in 15 modern tiny houses and 15 awesome tree houses.